Line from the film: "There are no seasons. Only light and darkness. Rain and sunshine"
They cover less than 7% of the planet’s surface, yet are home to over 90% of the species on earth. They are tropical rainforests, and this 1992 IMAX documentary travels deep inside these exotic locales, revealing their beauty and wonder while also warning us that they’re in danger of disappearing forever. Beginning millions of years in the past, Tropical Rainforest takes us on a journey through time, covering each stage of a forest’s evolution as it also focuses on some of the creatures that live within it (a diverse collection that includes parrots, bats, snakes, and literally thousands of different insects). And while the rainforest has not only survived but thrived over the centuries, a recent threat, namely deforestation, has been destroying thousands of acres of the world’s precious rainforests, and, if left unchecked, could obliterate them all from the face of the earth. Narrated by Geoffrey Holder (Live and Let Die), Tropical Rainforest presents its material in a straightforward, easy-to-understand manner, with dialogue that is neither too scientific nor too simple. What’s more, it’s visually spectacular (a brief time-lapse sequence, showing clouds forming in the sky above the rainforest, is pretty darn amazing), and when it’s not entertaining us with the music of South Africa’s Ladysmith Black Mambazo, the movie captures the many sounds of the rainforest, ambient noise that is both lush and dynamic. Of course, not everything in Tropical Rainforest is beautiful; time and again we’re shown large trees collapsing to the ground, and dirt paths blazing through now-desolate forests. 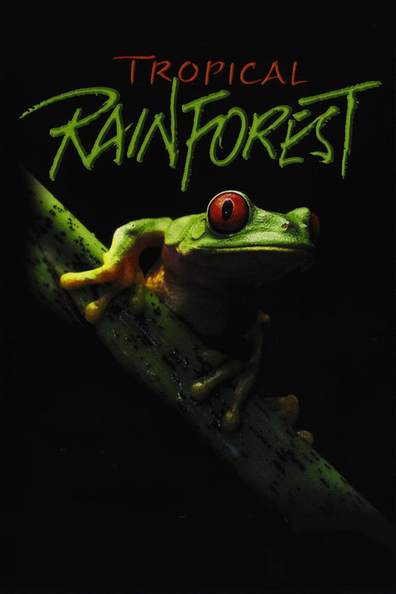 Without a doubt, deforestation (especially as it pertained to the rainforest) was a hot button topic in the early ‘90s, and while the scenes in Tropical Rainforest that cover it aren’t the film’s best (personally, I preferred the nature-centric sequences), the filmmakers do manage to get their point across. This, combined with its exploration of the area’s natural beauty, results in an early IMAX documentary that is equal parts breathtaking and informative.